The City of Oakland’s Human Services Department, Alameda County – Oakland Community Action Partnership, Communities United Committee, and the Emergency Food Providers Advisory Committee continue a much-loved Thanksgiving Dinner for the underserved of our community. 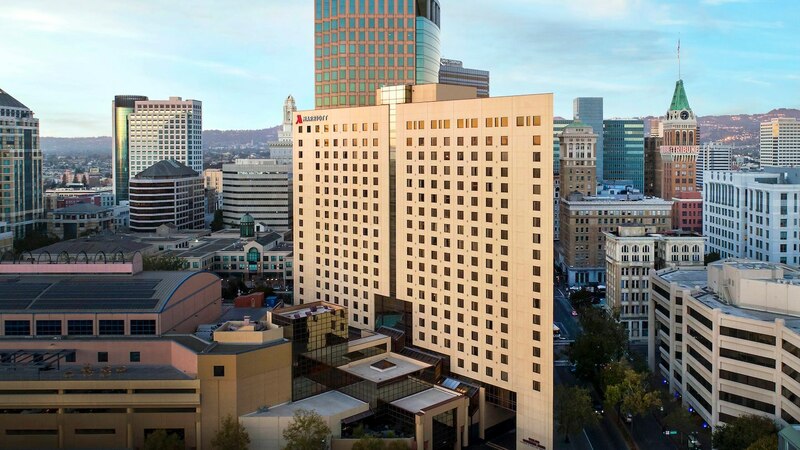 This event will take place Tuesday, November 20th, 2018 from 11:00 AM – 2:00 PM at the Downtown Oakland City Center Marriott, 1001 Broadway, Oakland. The Thanksgiving Dinner, in its 27thyear, is part of the City’s Hunger Program which was founded in 1985 during the mayoral administration of Lionel J. Wilson. With the support of donors and volunteers, the city serves 2000 low-income families, senior citizens, and persons experiencing homelessness in the City of Oakland with a hearty Thanksgiving meal in a communal festive atmosphere. The City of Oakland also supports transportation to and from the event from our senior centers, low-income housing programs, and shelters. However, donations are still needed even now. Just $26 will provide a meal for one guest, $130 per family of five, and $260 per table of 10 guests. If you are interested in contributing, please make checks payable to the City of Oakland Hunger Program, 150 Frank H. Ogawa Plaza, Ste. 4340, Oakland, CA 94612. Donations are tax deductible. The tax identification number is 94-6000384. For more information about this event, please contact 510.986.2721.